How do you respond to friends, relatives, neighbors when they question you about your homeschool? 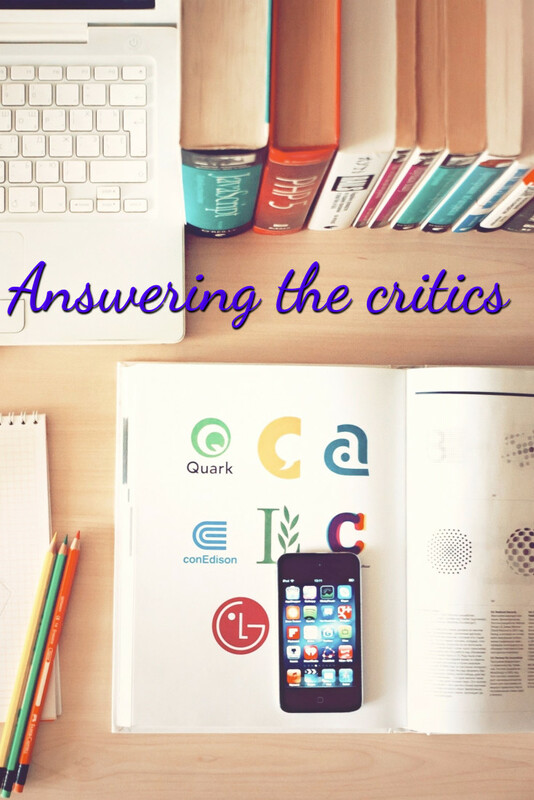 How do you answer the homeschool critics in your life? Critics will question your choice to homeschool. After all, we have one of the best schools in town right here. They will question your ability to teach your child. “Do you have a teaching degree or are you smart enough?” They will question your child being out with you in the middle of the day. Homeschool children do not go to school for 6 hours so if you need groceries, they go with you. They will question your choice of curriculum. “Why are you not using …. it’s the best?” They will question all the little details of your day. They question your choices because your choices cause them to question their own choices and more importantly their own answers. Sometimes it is as simple as “friendly conversation”, sometimes it is way more than that. Everyone will have a different answer. Talk with your family and come up with some answers so that you are prepared for that day- it will happen one of these days. You are the Principal and Lead Teacher, your husband is the Superintendent of Schools. You decide what time of the day you homeschool, what materials you will use, whether you have a designated school space. You even decide if you are going to do every single redundant grammar sentence or just some because you know the child knows the answers and does not need to beat it into the ground. It is something to think about ahead of time. Someone at some point, is going to question you about little or big things. Be prepared.